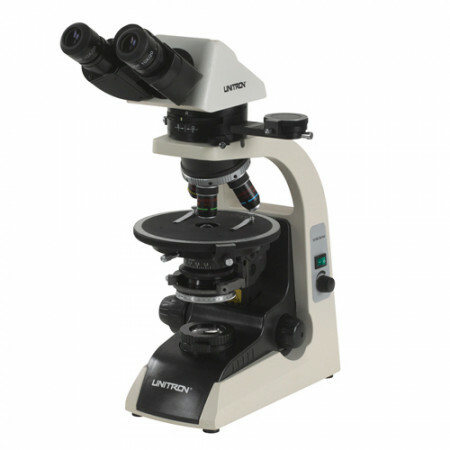 UNITRON’s new 12100 Polarizing Microscope is an excellent choice for university and industrial applications for the examination of birefringent materials for geology, petrography, crystallography and material sciences. 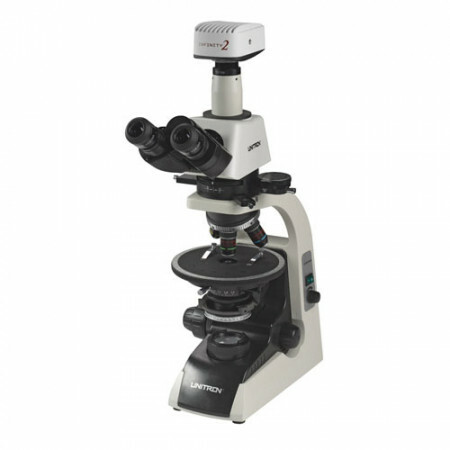 Available with either a binocular or trinocular (50/50 light split) viewing head, a centerable nosepiece and a bright white 5 watt LED illuminator, the 12100 Polarizing Microscope Series delivers tremendous performance and value. Engineered for ease of use, but rugged enough to withstand demanding classroom and industrial environments, UNITRON’s 12100 Series provides outstanding value and best-in-class performance.